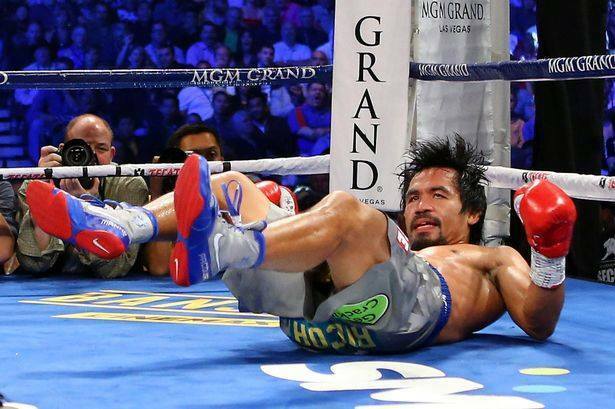 Manny Pacquiao VS Jessie Vargas Fight: Have Filipinos Lost Interest with the Pambansang Kamao? How come very few people are talking about the welterweight title clash between Manny Pacquiao and Jessie Vargas on November 5, 2016 at the Thomas & Mack Center in Las Vegas? It's just a few days ago yet the noise created for the event is silently heard. Nonito Donaire, who reclaimed the WBO super bantamweight title following a unanimous verdict over Cesar Juarez, will also be defending his crown against Jessie Magdaleno. Nonito is also a Filipino favorite as he is among the more popular boxers noticeable in mainstream media, so this should mean a big event. However, I've only seen advertisements about the fight just a few days before the fight as if there's not much publicity being shared throughout the country. The jr. featherweight champ expects to defeat the young challenger during what will be Nonito's first fight on a card headlined by fellow Filipino Manny. This is the first time the two Filipino superstars will fight on the same card together. Normally, it will be the fans who create the viral news but the past few weeks was so alarmingly quiet. Has interest with Manny among Filipinos dwindled already. After running and winning as senator, it was a big disappointment when the boxer turned politician announced another fight for that would mean once again missing time with his obligations in the government. How could Manny devote time for the country if he is too busy training for his fights? Not to mention all the other tasks required of him in coordinating with other people organizing the fights, his job as a senator is obviously divided and it is the Filipinos who are unfairly on the downside. But who's saying that the "full-time" senators, or other government officials like congressmen, mayors, etc., are 100% focused on their roles as public servants? There are so many who are also preoccupied with other tasks - and to name them all would just take too much time and space in this blog. However, it is no excuse for Manny to be spending time with boxing when he is expected to work for the Philippines as its senator. I do not believe that multi-tasking irrelevant matters can be considered excusable. Is it sports tourism? Is it putting the Philippines in the map? I don't think so anymore. Manny has proven himself so many times so I believe it is about time he choose between boxing and politics. He should not be serving two masters. Is his winnings beneficial to his constituents? Maybe so, maybe people are somehow getting some sort of benefits from all that prize money, but still, it is largely a credible excuse for him to go on with his boxing career. He must chose only one if he really is concerned for the Filipino welfare. We have so many corrupt officials already so we don't need someone who is never around when we need him the most.